Yes, hand-held at 1/400; with a long lens I felt I needed that fast a shutter speed. I always shoot hand-held and benefit from having image stabilization turned on (Canon claims as much as 4 stops with the 100-400mm lens). It’s true that with a tripod I could have managed a lower ISO. Not just a few pictures but beautiful ones. The colours and lines in this photo remind me of green jasper. How appropriate that this scene in Jasper National Park should remind you of green jasper. Oh that’s fun. It makes the shoreline the dominant feature. I’ve heard that art teachers sometimes have students look at a subject sideways to see it as abstract colors and forms rather than as something recognizable. That’s a good verbal accompaniment. The notion of being tainted by getting looked at is a principle of quantum physics, where things are at such a small scale that even the light required to see them changes those very things. In the grand world of etymology, I’ll point out that Zimmer is the German cognate of English timber—again appropriate for these woods. Does Zimmer also mean “room”? I don’t know why I think it does… I think from a Pink Panther movie. I’m sure glad you were able to get this glorious image. It is lovely. Regarding the poem Linda shared, this is indeed a problem. I recently learned that whales get impaled on the prow of cruise ships plying the Alaska waters. So now when I see advertisements for inland cruises to enjoy the nature of Alaska, all I can see in my mind’s eye is ships with dying whales impaled on them. Bet they don’t tell the customers that happens! Awesome shot of the reflection, Steve! Glad you like it, Indira. I understand about work eating up time we’d rather be spending on other things.Let’s hope you enjoy your work. Thanks, Pete. I was relieved that the pictures came out okay in such low light. I went following the next morning, as you’ll see in the next post. A very beautiful photo, viewed from any angle! 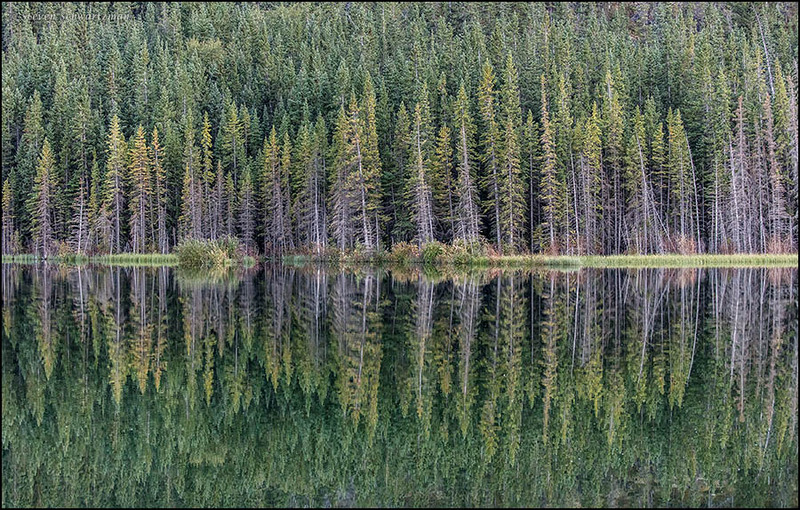 I especially love these photos of reflections in water, Nature’s ultimate mirror. 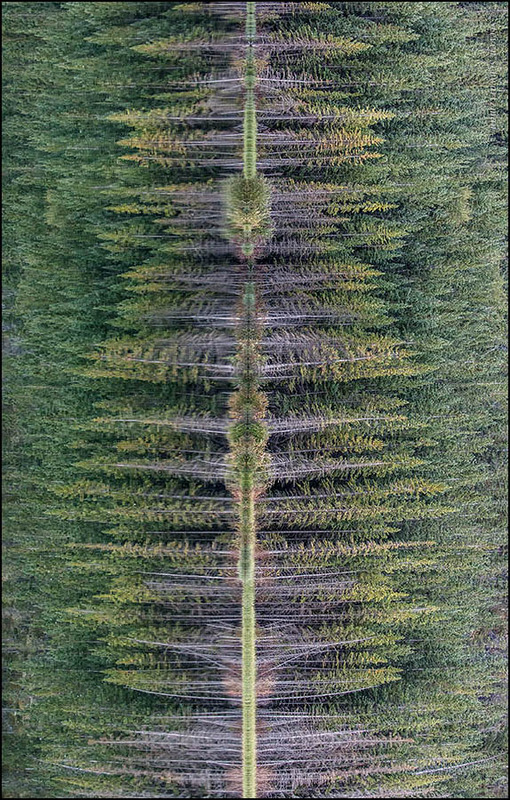 I like the way you put it: Nature’s ultimate mirror. When I saw this place, even in dim light, I felt like I just had to get a picture of it. Those are some gorgeous reflections!! They certainly got my attention, both that evening and again the next morning.